GCC spec 2015 Land Rover featuring USB, power windows, tinted windows. Grey/Silver with black interior. GCC spec Land Rover with ABS, 18″ wheels and Airbags (front and side). Price reduced! 2001 Land Rover Defender with 4WD, 16″ wheels and CD player. Price reduced! This low mileage brown Land Rover priced at AED 199,000 comes with Power locks, Tuner/radio, Airbags (front and side) and much more. Land Rover Defender white SUV/Crossover, grey on the inside with tuner/radio and power windows. 19″ wheels. Samer - I wanted a Wrangler pickup, and as one still isn’t officially out, I bought a pre-owned Land Rover Defender 110 pick up and it suits the bill somewhat perfectly. Could use a little more power, but off road, it's the best. Ben - My used 1997 Defender still looks amazing to this day and fits right in with the rest of the Defenders to this day. I did want to buy a petrol version, but they weren’t GCC specs. Pros: Resale price and iconic looks. Cons: Only available in the GCC as Diesel and it’s manual. Carlos - I had a Defender 90 series back in the UK and just had to buy a second-hand one in Dubai as they are just awesome cars, they may be bare inside, but they get the job done and can traverse any terrain. Pros: Can traverse any surface. Cons: Interior options and price. Two body shapes are better than one. Either with 2 doors (coupe) or 4 door models are to choose from in the market of used Land Rover Defender for sale in Dubai, UAE. In certain markets, there are convertible models too. Gulf Specs Defenders are only available with a turbodiesel motor; export markets have petrol variations that appear now and then for sale in the UAE. Supposedly they are very easy to maintain with many owners saying they can repair it all themselves with a few tools and quick google search. With a production span which covers 67 years, these British off-road cars dare to go where other SUV's tremble with fear and they are loved around the globe. While not being well known for their speed and agility, with their turbodiesel engine's producing competent torque figures ensures top-notch towing capabilities and no problems with off road driving. 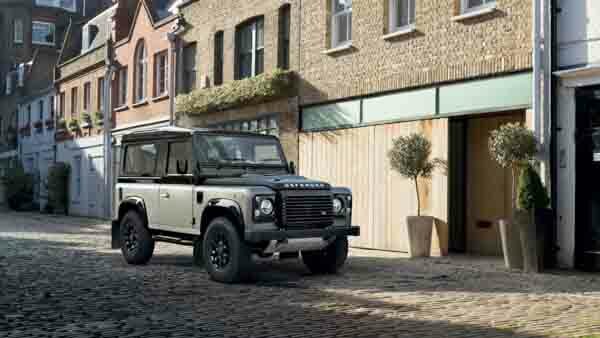 Unfortunately, the last Defender rolled off the production line in January 2016; Jaguar Land Rover did announce that a ‘new Defender; will launch in the near future. With that said, a dozen or so special editions have emerged including a Works V8 variant. Rivals on the Road; Jeep Wrangler, Hummer H3, Toyota FJ Cruiser. 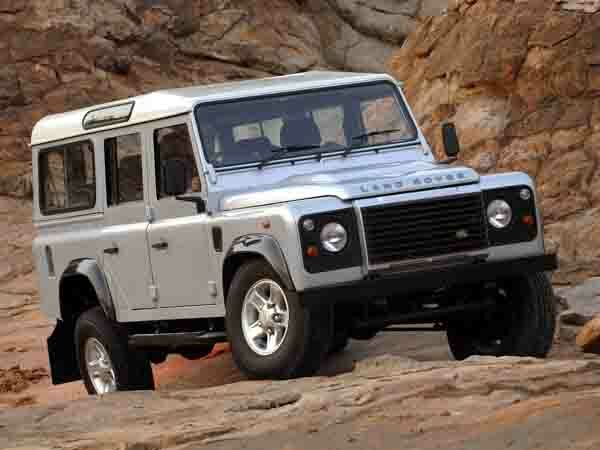 Continuing with its boxy shape, the Defender was introduced as GCC spec in only 1998. 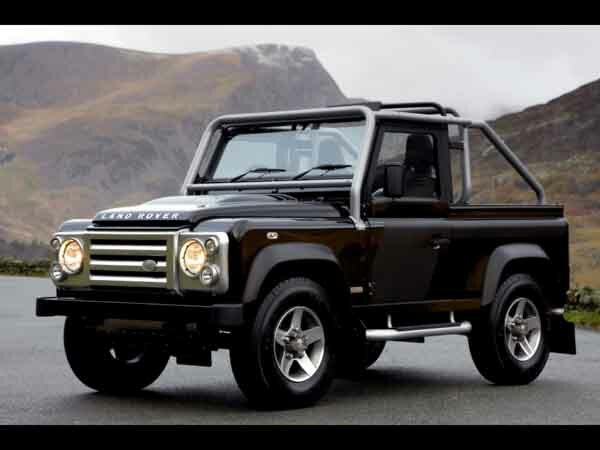 If you wanted a Defender older than 1998, you would have to import one. With very basic features inside the cabin such as fabric seats, manual windows and driver side airbag. Over the years, central locking, electric front windows, upgraded air/con and minor exterior changes over the years. Three models of the rugged off-road machine were available with either a short or long wheelbase up until 2006 where only the 110 series is sold. Here in the Gulf, only the 2.5-litre turbodiesel mounted to a 5-speed manual gearbox powering all four wheels. Just over 120 horsepower is generated with around 300 Nm of torque. Price: AED 70,000 for a used 1997 model. No significant modifications appear on the exterior except for maybe a new shade of paint or new materials being used, although the interior has drastically changed which is certainly needed. New additionally features joined the list including a premium sound system, AUX and USB inputs, analogue clock, leather upholstery and Bluetooth. The 2.5-litre turbodiesel engine was dropped in favour of a 2.5-litre inline four cylinder powerplant instead. Mated to an all-new six-speed manual gearbox, a similar output is sent to all four wheels. Torque figures increase to 360 Nm. 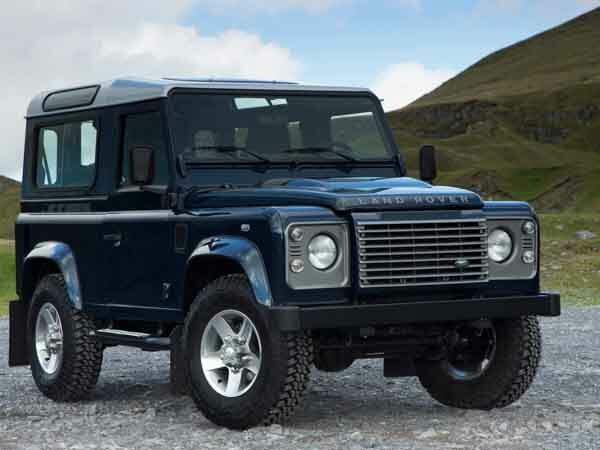 2008 marked the Defender’s 60th anniversary and to celebrate the British manufacturer launched the SVX Defender. Four fog lamps are attached to the roof, snorkel, winch, wider wheel arches, roof rack and off-road tyres complement the black exterior. Inside, a Garmin GPS system, racing seats and alloy gear knob are unique to the interior. Price: AED 119,000 for a 2009 model. 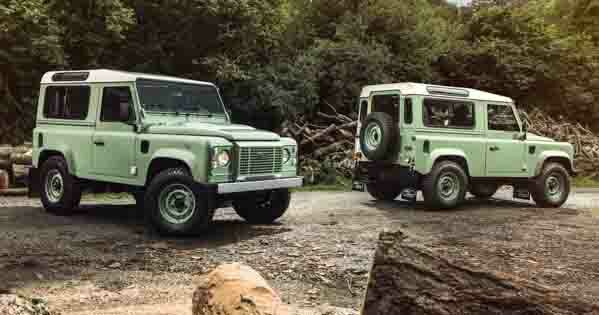 Three new Final Edition models joined the lineup alongside standard ones it the Defenders final years. Heritage edition available with a short or long wheelbase, these models are painted in a lick of iconic green paint, matching rims and a white roof. Front ends resemble Defenders of yesteryear and to continue the tradition they house similar headlights. Inside are four to five beige leather seats, Bluetooth system, analogue clock and media inputs. 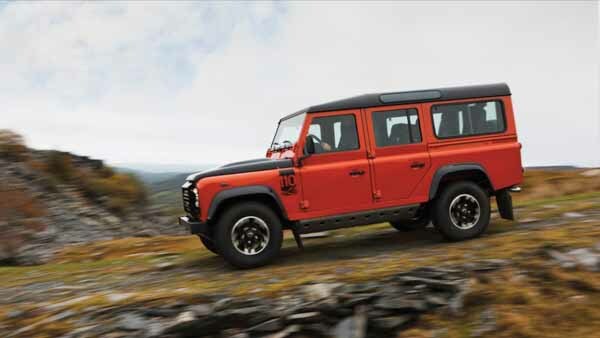 Adventure Limited Edition models are painted in unique colours such as orange and are equipped with an extended snorkel, roof rack and special rims coated in off-road rubber. The interior resembles Heritage versions with mainly black or dark grey leather/fabric seats. Available with two or four doors. The third special edition is known as Autobiography and is only available with two doors. Two-tone paint coats the exterior, 16-inch alloys covered in off-road rubber are bolted on to each corner, and unique badges are on offer, interior specs are identical to the other two models just no fifth seat available. 2.5-litre turbodiesel engines were still the weapon of choice to power all four wheels, no changes to the top speed or output were made. Price: AED 165,000 for a 2015 model.